Hi. My name is Rick Cabrera and I am a professor and researcher at Cornell University. We have recently been engaged in research concerning the prospective abilities of teenagers driving while intoxicated. Our research has concluded that education is the best method for helping teenagers offset the harmful effects of drunk driving. We feel that a practical approach needs to be taken to rectify these effects. Our team has devised a program for teaching students how to safely drive while under the influence. Our methodological approach was to intoxicate the students, primarily with alcohol but sometimes with other substances, and then teach them how to be responsible intoxicated drivers. We set up an obstacle course, including strolling children, other vehicles, bikers, mailboxes, etc. Our discoveries were miraculous. The research team has concluded that driving while intoxicated is a product of social constraints rather than physiology. 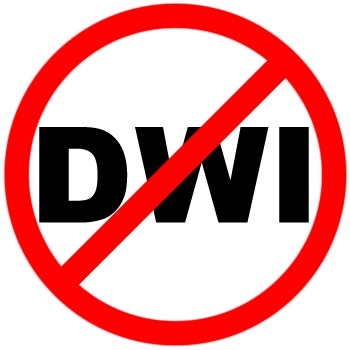 We believe that driving effectively while intoxicated is influenced by factors such as confidence, type of alcohol consumed, destination, self-image, make and model of vehicle, gender, and, most importantly, training. To further validate our studies to the largely uniformed public, we have produced free educational videos, and received a grant to pay for the cost of the intoxicants. Our program has been successful in many major cities across the globe. Counter-intuitive: yes, wrong: no. I will discuss the specifics of the training method in our next correspondence. We are glad that you are willing to include this curriculum in your courses. I look forward to hearing your thoughts. Please email as soon possible to begin the initial phases of the program’s management in your school. Thank you for the opportunity to educate our citizens. Cornell Behavioral and Social Sciences Dept. You need to contact the Motorcycle safety Foundation. The curriculum i, and every other motorcycle training school in the country, use is developed by them and we are licensed to use it with no changes or additions. Also, I do not appreciate you presenting this as an urgent matter. This seems like nothing more than a sales ploy. I ensure you that this is not a sales pitch. As I mentioned in the previous email, the whole operation is funded by grants and requires no money from the participants. I am a researcher from a prestigious university and not a business man. Furthermore, I have contacted the Motorcycle Safety Foundation and they have stated that, as a prerequisite, I must have the backing of a set number of the driving schools in specific districts. This is why this matter is urgent. I only have until April to acquire the requisite participants. I am sorry if all of this was misunderstood. Thanks. I misunderstood. Now I’m curious. I can’t imagine how buying intoxicants and MSF motorcycle classes can fit together in any way. Thank you for your willingness to discuss this with me. We need as many people to hear our proposal as possible, as our researchers have concluded that it is the most effective. Our pedagogy is unique but has proven efficacious . Phase 1: First we educate the students in the pitfalls and benefits of driving while intoxicated. The students must understand the behavioral readjustments of intoxication and how to psychologically combat these effects. Knowledge of the neurophysiological changes as well their associated physical behaviors create a biofeedback loop where conscious adjustments can be made for neutralizing the intoxication. This will allow them to drive more sparkly and speak with the authorities more articulately. Phase 2: Next, we intoxicate the students with a variety of psychoactive substances, some illegal but given access to us by the Federal Research Institute out of D.C. The others are commonly used recreational pharmaceuticals acquired by the aforementioned institution. Pharmaceuticals, statistically, are the number one cause of drug-related fatalities, many of which while driving an automobile. We wait for the substances to take effect. Phase 3: Once their cognitive functions are altered, the students are required to engage in a number of driving activities specified in the curriculum (referred to above in Phase 1). The students will be twice required to recite the alphabet backwards while driving through a rectilinear path, one time starting from the left, the next from the right. This exercise will be repeated, with the automobile moving in reverse. Next, the students will begin a city drive sober, and slowly become intoxicated throughout the drive. This will allow them to understand the in-process development of the psychoactive effects and help them to safely drive through a geographical region with many impeding obstructions. They will learn how to decrease their reaction times when confronted with other traffic, pedestrians, and inanimate objects, such as trees. Another passenger will be placed next to the learning student, creating disturbances via noise, physical interaction, and simulated sickness. Rescue Routine: the students, just in case their training fails them, need to know how to quickly respond to an accident. The exercise entails simulating an accident and then teaching the students how to fall, roll, slide their way to safety. After they regain consciousness, the students must administer CPR on the licensed instructor for twelve minutes, after which point they must run to safety, and hide from any potential dangers. The phases outlined above constitute the majority of our curriculum. We hope it meets your standards. Please respond to this email with a “Yes” or a “No” . We hope you will see the logic in our new method. Thanks. This isn’t insightful, or funny. What point are you making? What are you trying to prove or say through this? Blatantly lying too get a response isn’t saving journalism, nor doing any good for whatever cause you strive for. I’ve read several posts of yours here, are you trolling trolls? Or a terrible comedian?